Members of Student Labor Action Coalition shared their personal challenges as student workers and discussed the need for higher wages at their Wednesday night teach-in aiming to promote their new campaign. 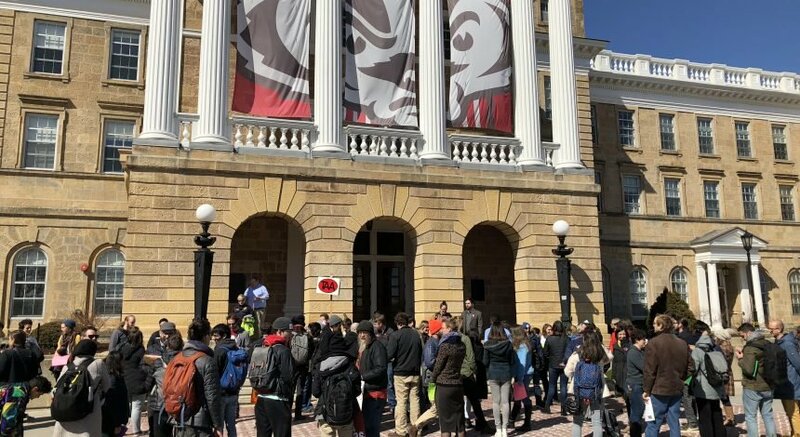 More than 20 students and several guest speakers gathered to talk about the battle for fair wages and worker treatment at University of Wisconsin as the cost of tuition and other course costs on the campus have skyrocketed. Danny Levandoski, a UW junior and member of SLAC, said SLAC is in solidarity for the “Fight for $15,” or the demand for minimum wage increases spanning across the country. 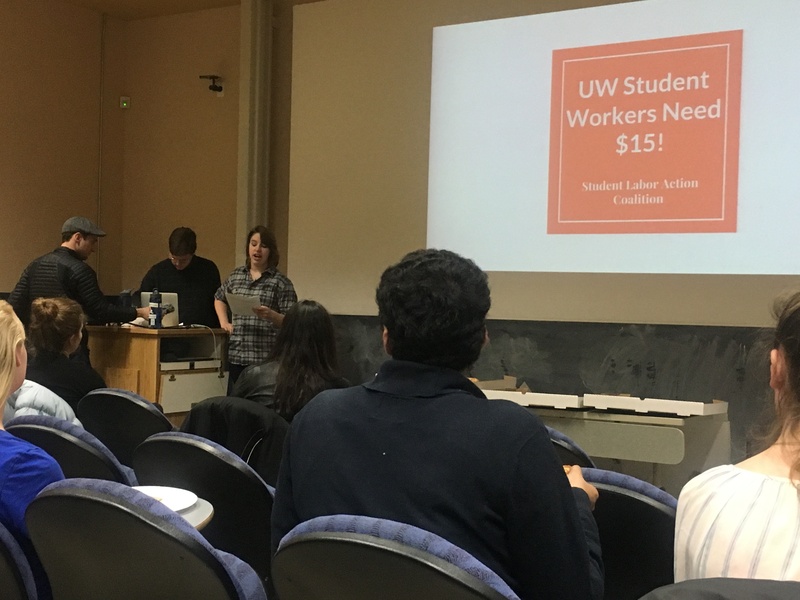 Levandoski said it is important to look at the strategies the national movement uses to determine how SLAC could help UW students’ efforts to increase the minimum wage to $15. In the past, many administrators have said that students should be students first, and that student jobs are meant to only defray the costs of tuition. But SLAC members claim these jobs help students pay for basic necessities. 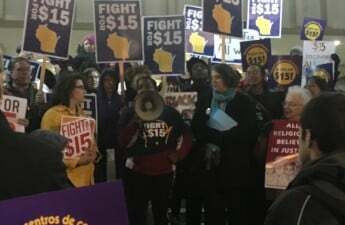 “We are not just students, we are not just workers, we are a combination of the two — we pay rent, tuition, groceries and books— the $15 minimum wage is not just wanted, it’s not just deserved, it’s really needed for everybody on campus,” Levandoski said. Frankly, Levandoski said UW can’t afford to raise student wages because they spend their money on a variety of other expenses that are unnecessary, like the renovation of Witte Hall to make it look more aesthetically pleasing. The university in February, however, did move to raise wages for student workers and graduate students, though not to $15 per hour. The student hourly minimum wage is set to rise from $7.25 to $9 per hour on Sept. 1, and effective July 1, graduate assistants will receive a 2 percent hike. Instead of paying student staff members who work in housing, Levandoski claimed UW is pocketing the money for aesthetically pleasing renovation projects. SLAC’s fight for a $15 minimum wage is only one of three total demands the organization’s new campaign is pushing for, Levandoski said. SLAC is also fighting to better the worker grievance process to create uniform policies to promote fairness in the workplace. 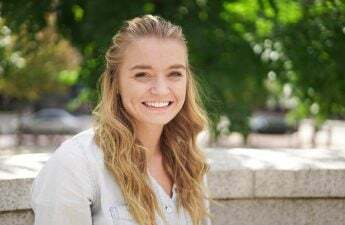 Amy Joschett, a student at Madison College who will transfer to UW in the fall, shared her previous experience with worker grievances as a staff member at the Rathskeller in Memorial Union. Joschett, who has a disability, said the Rathskeller forced her to disclose her disability, despite the fact federal law protects her right not to do so. Joschett said she had been harassed while working at the Rathskeller, and the management there acted condescending toward her. When she complained to human resources about this treatment, they told her managers what she had said, disregarding her confidentiality, she said. After coming into work late one time and having been told it had been fine, Joschett said she was later fired as an excuse just to get rid of her. When she tried to explain herself to the HR department, she said they did not have the proper worker’s agreements to address her grievances. Joschett’s story is not unique. Levandoski and several student audience members shared their experiences with worker grievances as well as unfairness in the workplace. Levandoski said his current work as a member of SLAC has caused him to lose some of his friendships with managers. SLAC members encouraged members of the audience to join the campaign to help them move forward by joining in their weekly meetings and other events. This post has been updated to include information on a university student worker and graduate student wage hike.